Ghana’s mining sector has lost more than 10,000 direct jobs to redundancies in the past three years due to high cost of operations and lack of reliable power. Mr Prince William Ankrah General Secretary of the Ghana Mine Workers Union, who announced this in Kumasi at the weekend, referred to the Ghana Chamber of Mines 2015 report. 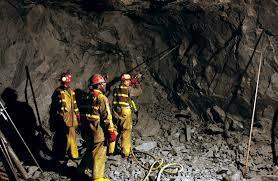 It said the mining companies spent a colossal $ 314 million on energy alone that had a toll on their operations. He was speaking at the just ended National Executive Council’s meeting of the Union in Kumasi. The General Secretary said Ghana’s quest for job creation as a nation had often been fraught with very weak inter-sectorial linkages. For example he said the energy sector was so weakly linked to the manufacturing and productive sectors such that any downstream effect including job creation were quickly eroded by the failure of the energy sector. “As a Union, we are extremely worried about this trend and the earlier tangible solutions are sought to this hydra-headed problem, the better for us all and our ailing economy. “Already, investor confidence in the industry appear to be waning whereas neighbouring countries like Burkina Faso, Ivory Coast, Mali and Guinea look more of a preferred destination for mining FDI (foreign direct investments),” he said. On election, Mr Ankrah called on the political parties and their commentators to approach this year’s election with peace at the centre of the discourse. “Intemperate language or any actions or inactions which are detrimental to the peace and security of our dear nation must be eschewed at every stage of the way,” he advised.